I am not sure whether you have ever run into the trouble of losing your iPhone contacts due to iPhone crashing, iTunes backup getting corrupted, or iCloud related problems. 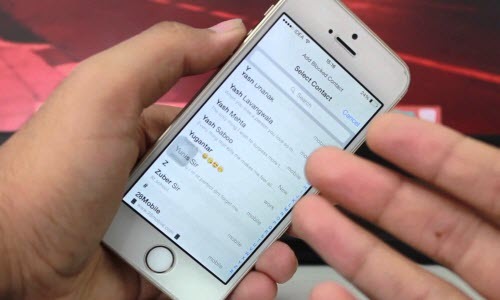 No matter how, it is frustrating to lose the contacts which is one of the most important information on your iPhone and for your life and work. So here in this post I am going to talk about how to back up iPhone contacts selectively and properly. You can export a copy of your contacts from Apple’s iCloud as a vCard file and then store that file in a safe place in case of a server-related emergency. Just select some or all of the contacts you want to back up, then click the cog-shaped Action menu icon in the bottom-left corner of the browser window to get to the Export vCard option. Later, if disaster strikes and your address book gets wiped from the web, you can use the Import vCard option on that same iCloud Action menu to pull in the backup copy of your contacts file. You can also archive your iCloud contacts from your computer by using the Contacts app on Mac OS X or Microsoft Outlook for Windows. Server issues may sometimes be the problem if you cannot get to your files, so you may also want to bookmark the System Status page for iCloud Contacts (and all Apple’s other online services) to make sure it is them — and not you — having a problem. You can use third party iPhone data recovery software to export and transfer directly from iPhone and back up selectively to computer. I would like to take iFonebox which is a renowned and professional iPhone data recovery software for example to demonstrate how. > Install and launch iFonebox. > Choose contacts to scan selectively from the interface listing all the supported data categories by clicking on the icon for Contacts. > Wait the data scanning and analyzing completes. > Take a preview at the exported contacts and click on the button “Recover to PC” to transfer all the contacts to computer. > Choose the recovery mode of “Recover from iTunes Backup”. 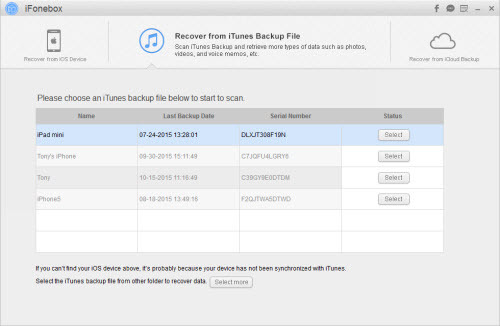 > Select an iTunes backup file to scan from the list. 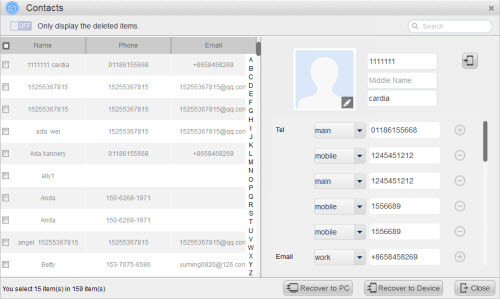 Take a preview at the exported contacts and click on the button “Recover to PC” to transfer all the contacts to computer. Note: If you cannot find the iTunes backup file, please click the button “Select more”. Contacts are exported from iPhone directly and iTunes backup file in CSV, VCF and HTML format, which can be stored and employed in case of accidental disasters related to iPhone, iTunes or iCloud. This entry was posted in Backup/Back Up, iCloud, iTunes, Tips and Tricks and tagged back up, backup, contacts, iCloud, iTunes by IosdroneD. Bookmark the permalink.